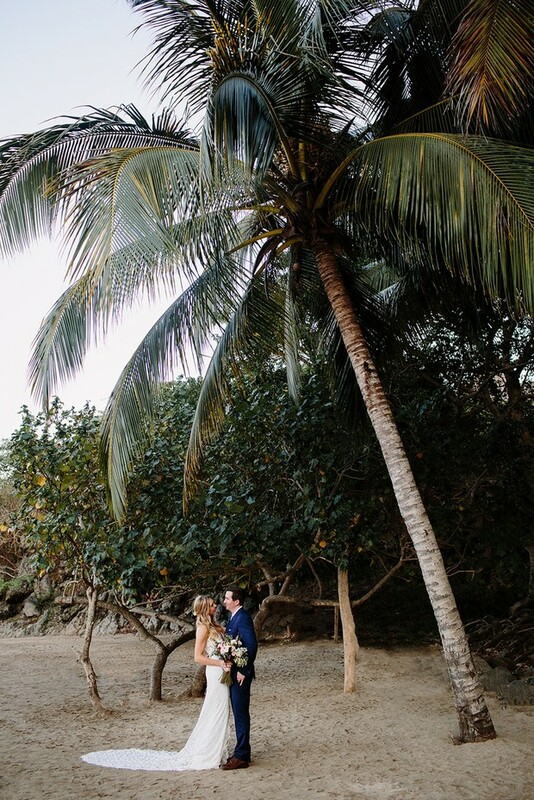 We’re feeling all the love at Brittany and Bobby’s gorgeous destination wedding in sunny Mexico! 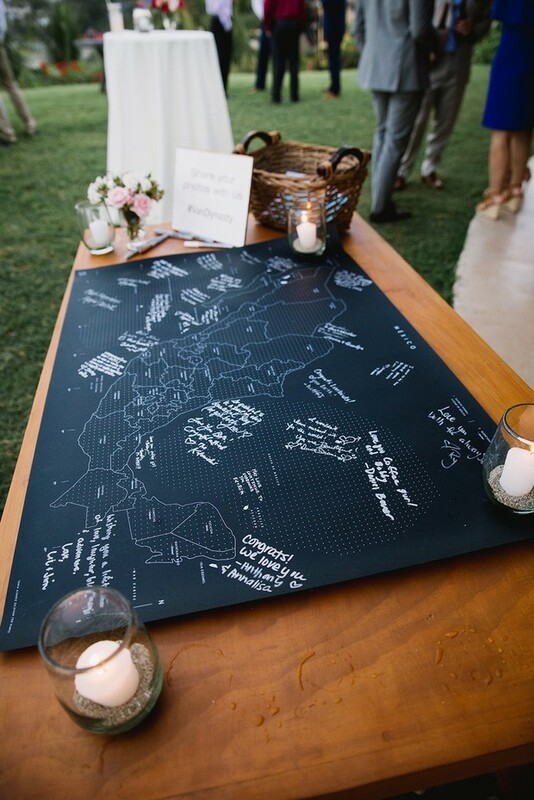 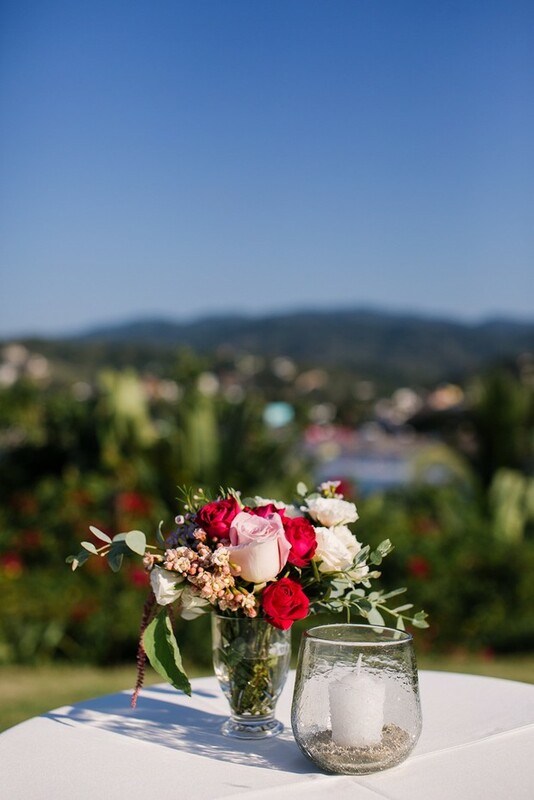 The oceanside venue, Palapa Brisa Mar in Sayulita showcased some amazing ocean views for their outdoor celebration styled by Marweddings. 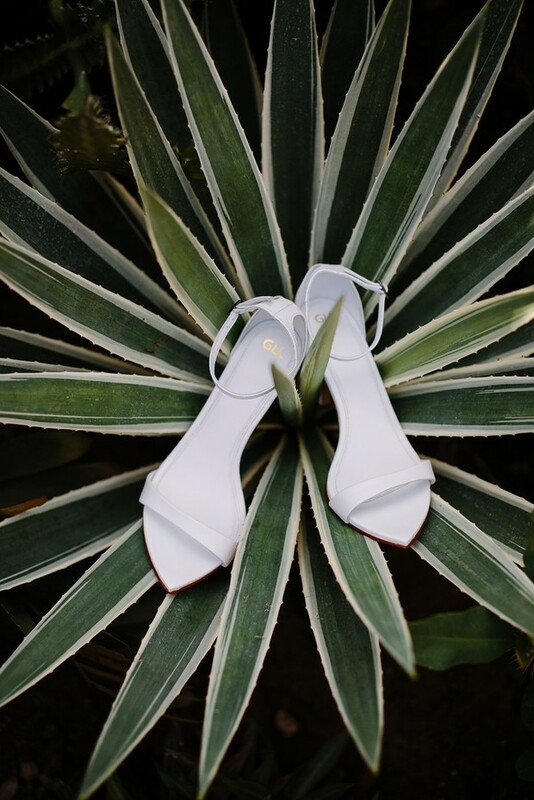 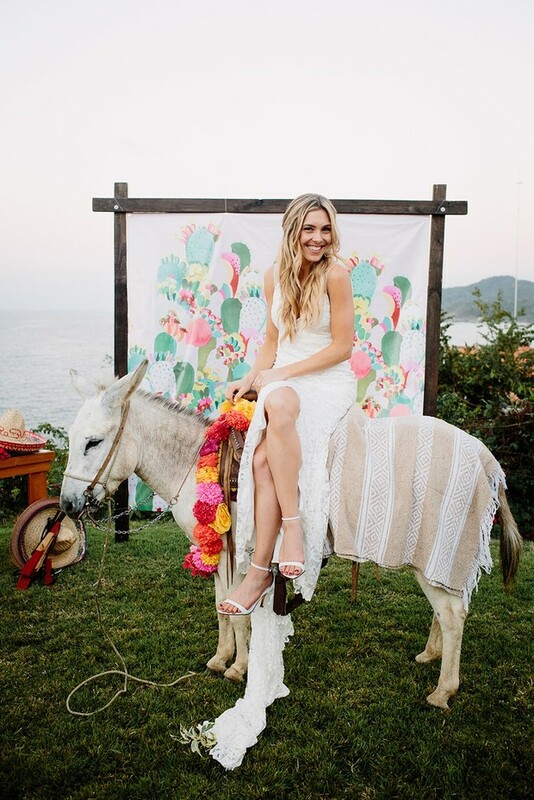 Colorful blooms and a friendly burro are just a couple of the highlights we love, but Brittany definitely stole the show in her stylish Grace Loves Lace gown and white heels (shop her look below!) 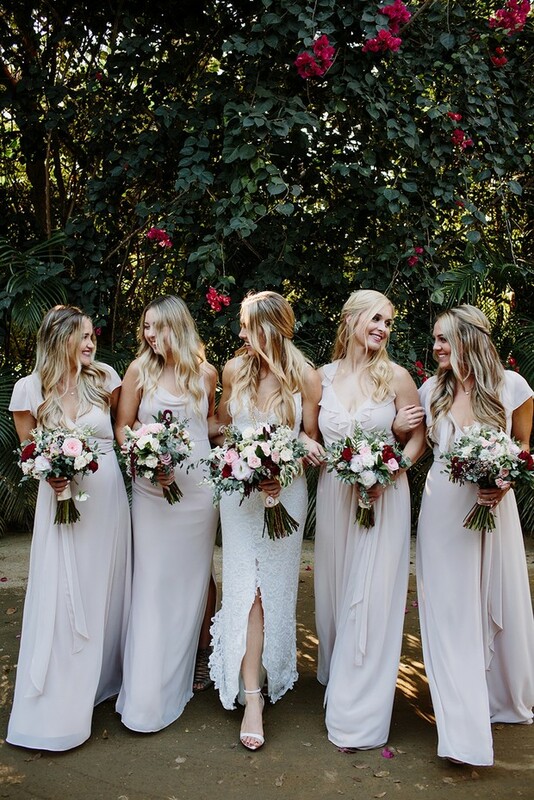 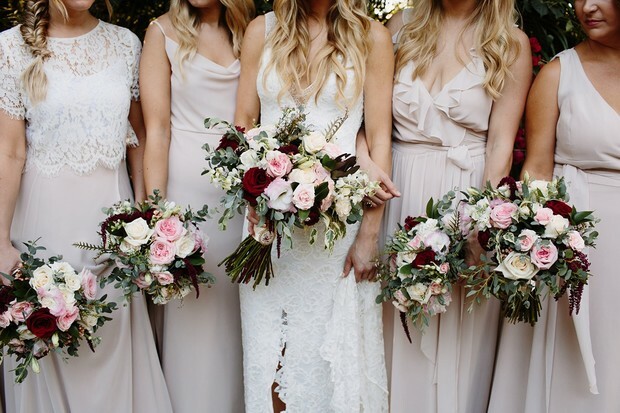 while her bridesmaids styled mismatched dresses in neutral shades. 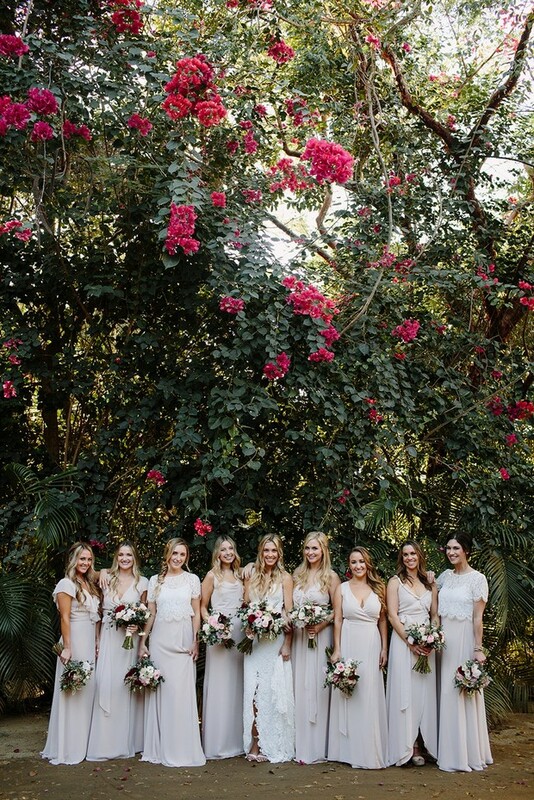 So chic and beautiful! 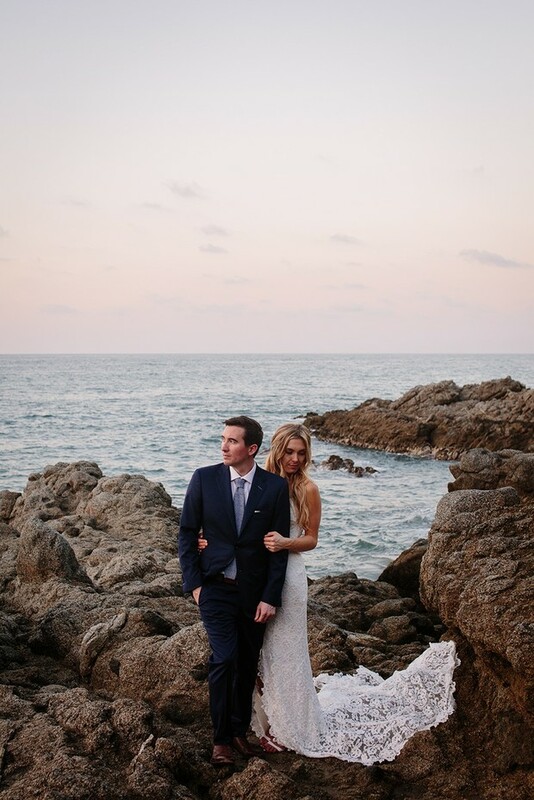 See their wedding fiesta captured by Taryn Baxter below and in the full gallery. 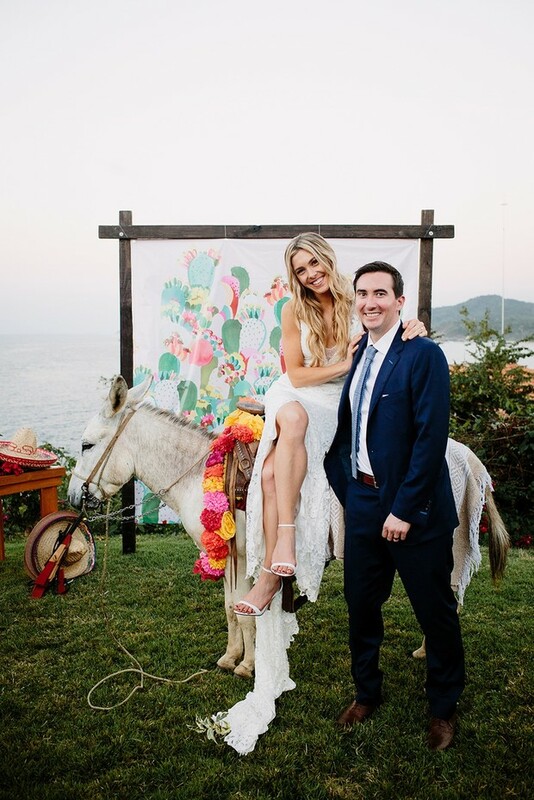 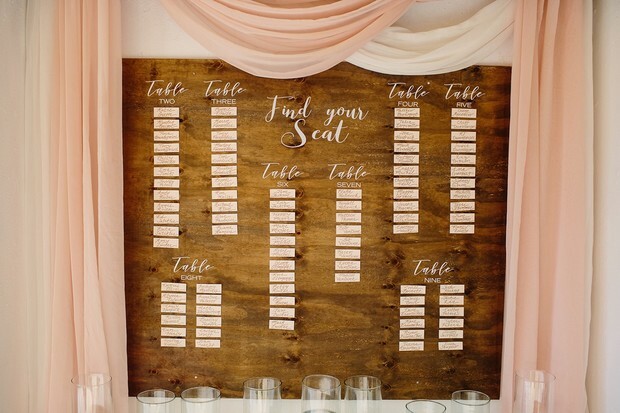 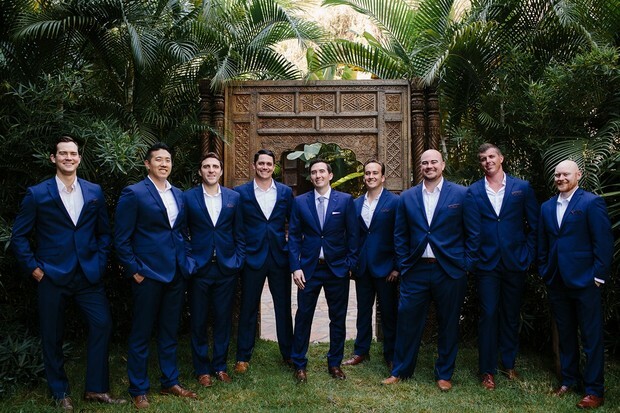 How can you possibly accomplish a timeless and elegant wedding, yet overflowing with fun heartwarming moments throughout the entire event while stylishly embracing the vibrant traditions of Mexico? 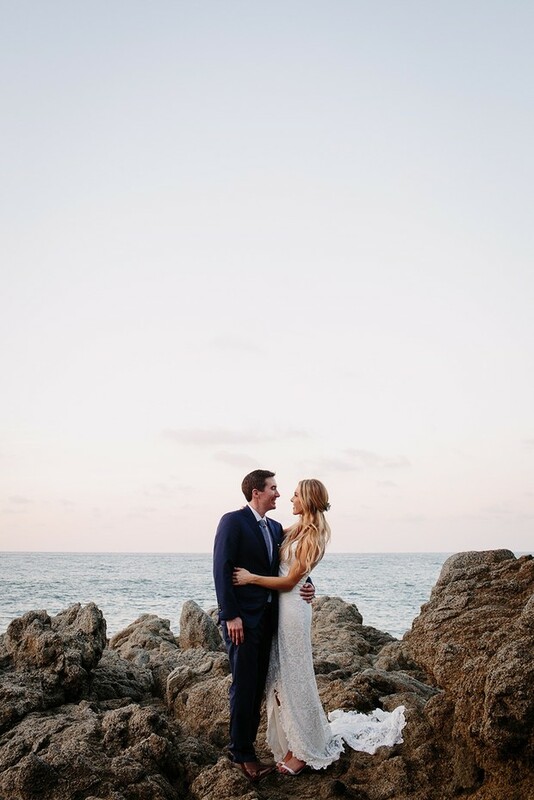 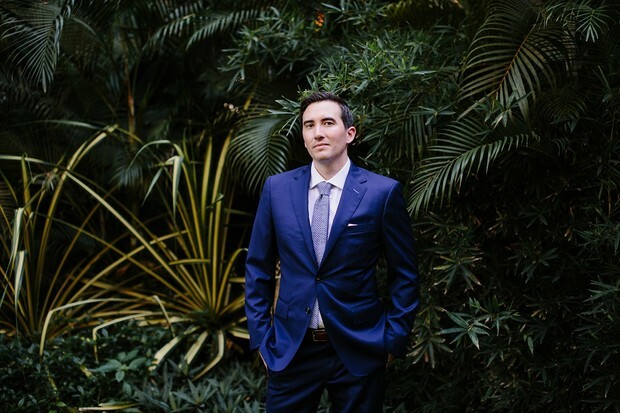 Brittany and Bobby effortlessly imprinted they joyous personalities onto their wedding from the moment they started envisioning how they wanted it to be. 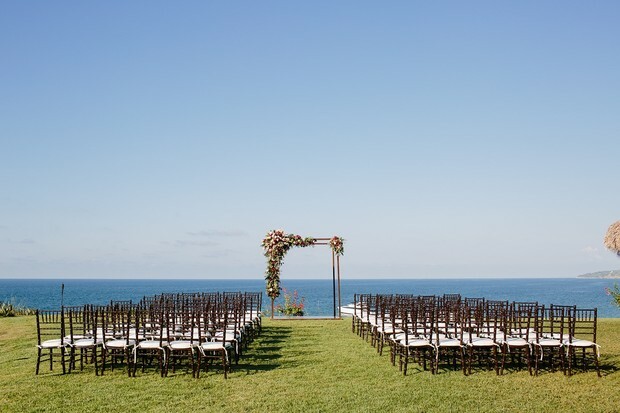 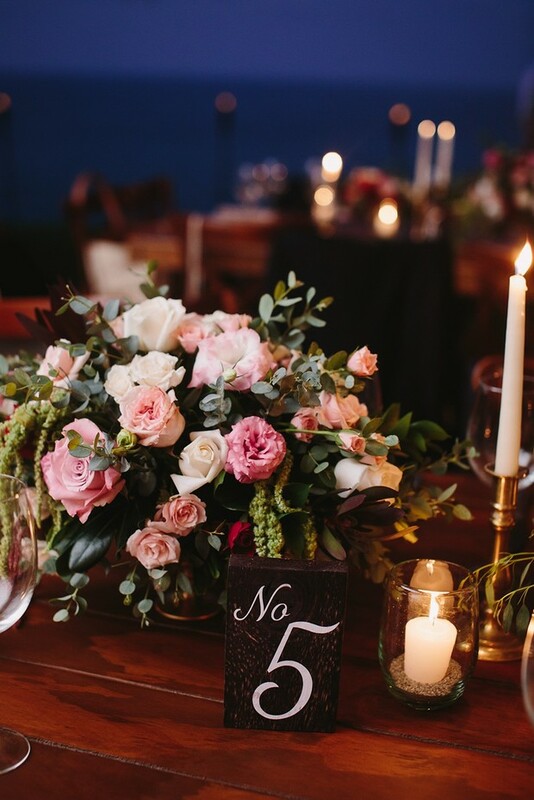 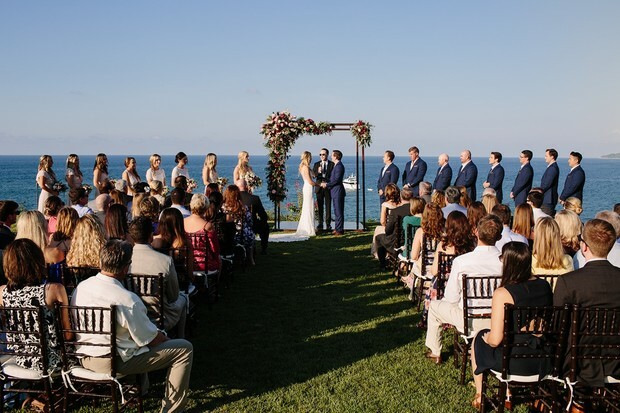 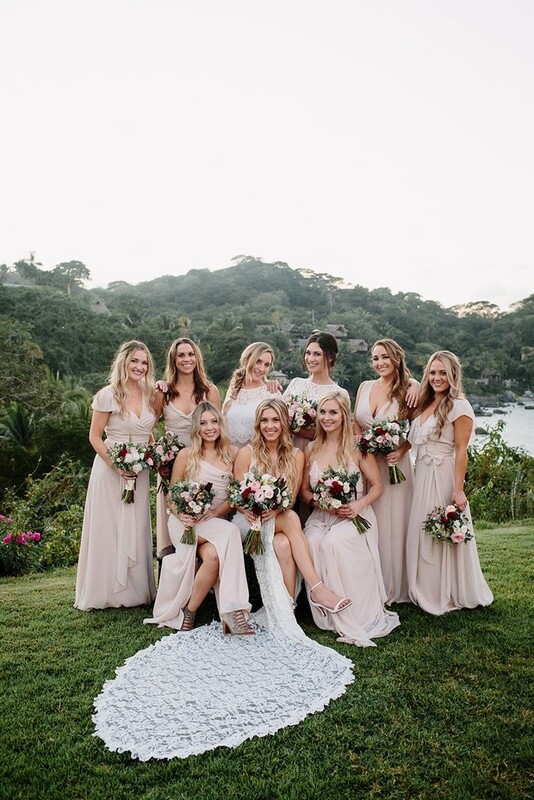 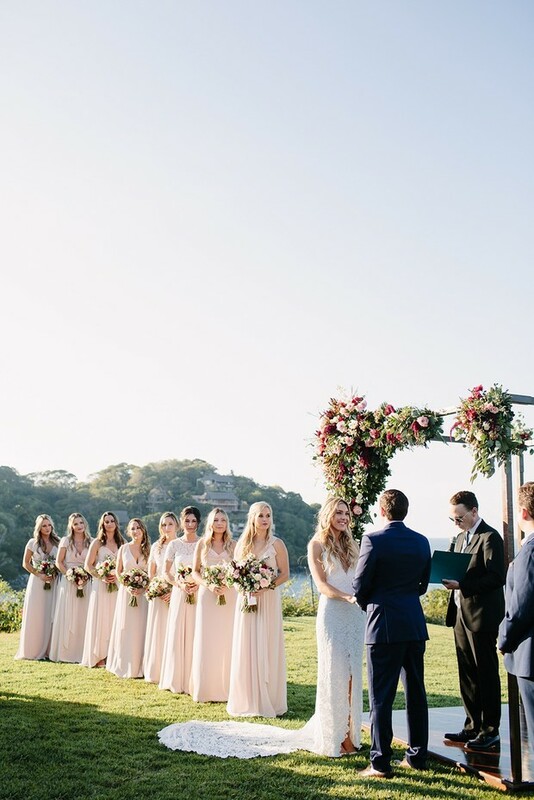 Lush exquisite flowers and the ultraromantic wedding arch were a key element to the beauty of setting, which was gracefully framed by a breathtaking oceanside venue in Sayulita, Mexico. 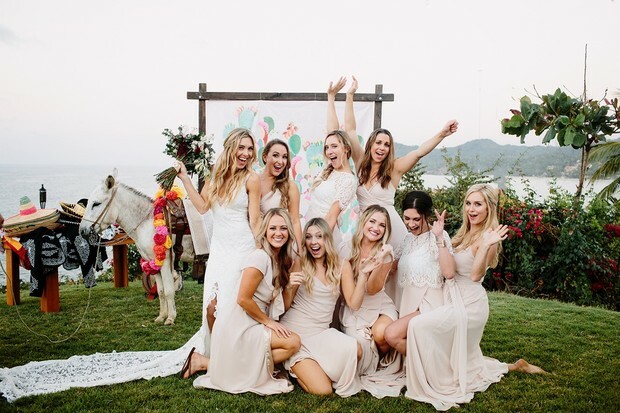 The celebration initiated with a truly memorable wedding ceremony which ended unexpectedly cheerful as the cutest donkey announced himself (quite loudly) into the fiesta, it was absolutely hilarious!!! 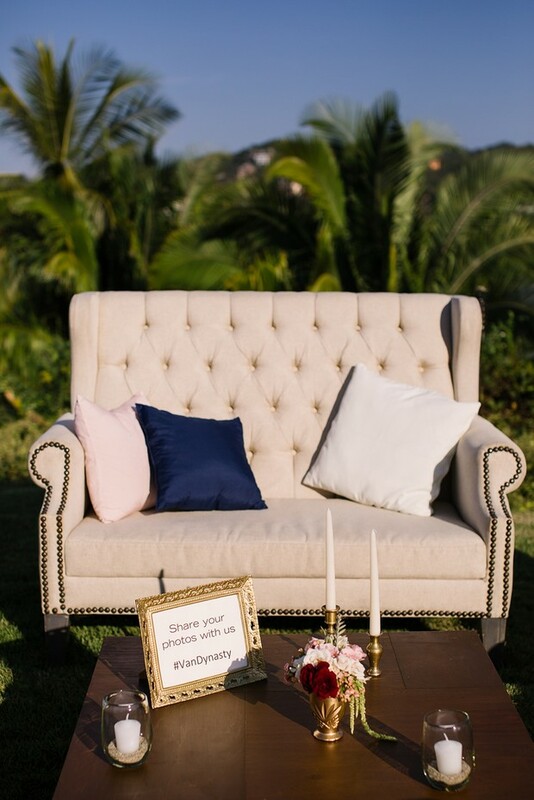 Guests had the perfect stage for fun photos and enjoyment during cocktail hour, relaxing at sunset time and dancing the night out by the ocean. 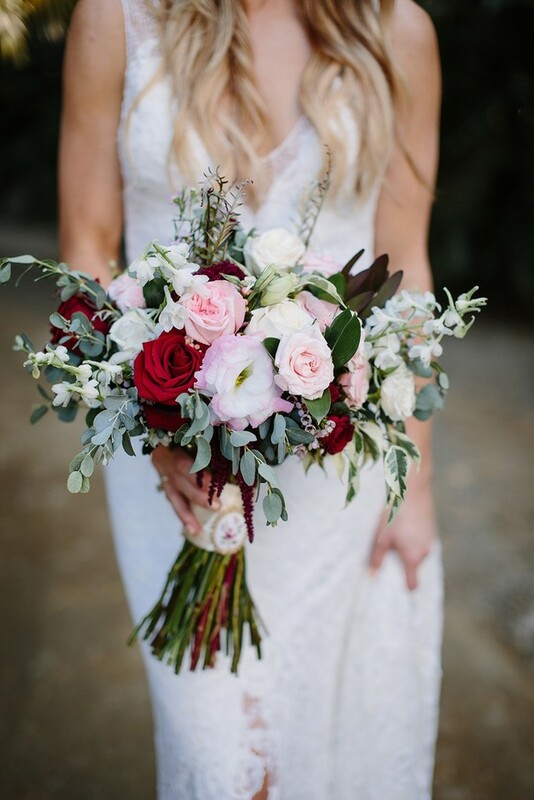 The floral design featured beautiful neutral - blush pink tones and pops of bright red and fuchsia, nicely balanced with airy greenery. 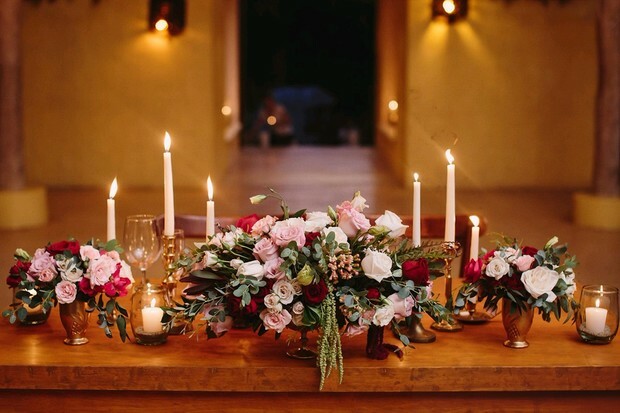 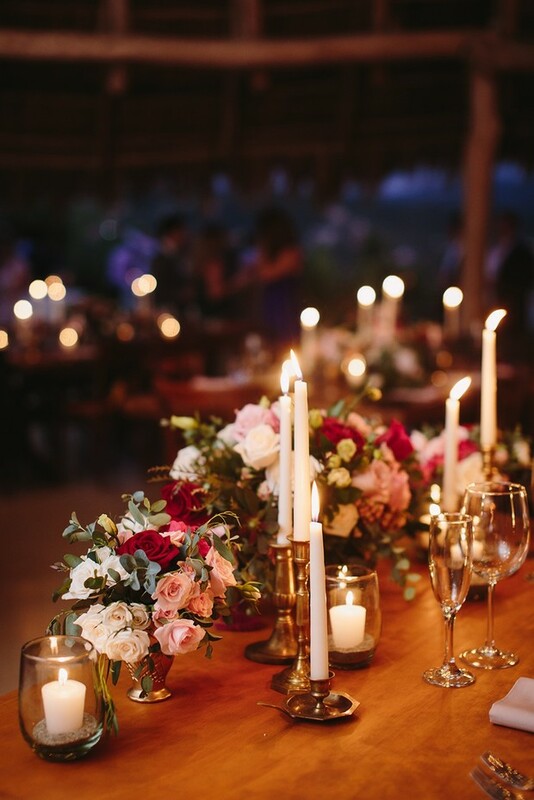 Several luxe decoration elements complemented the ambiance setting, such as antique brass candle holders, comfy antique lounge seating and plenty of candles all over the venue lit up the evening for a warm, relaxing mood. 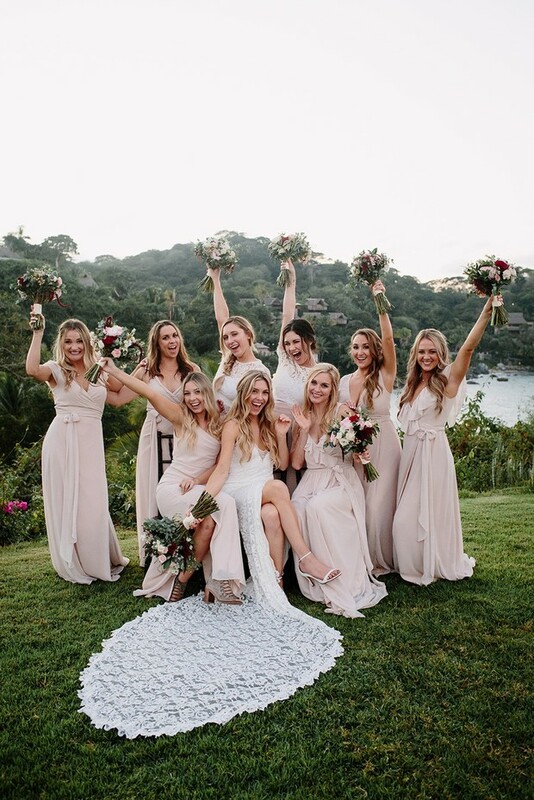 The party went on for looong hours with great dancing vibes, unforgettably delicious food, lots of tequila and the most fun speeches one can ever witness, the bride and groom were overjoyed with love and the night ended with freshly made churros for the last dose of blissful celebration.